Going camping is fun, but wanting to charge your gadgets in a tent minus electric sockets is not so much fun. Of course, you could go cold turkey and give tech the cold shoulder, but why when you can charge your phone with the sun! I tried a solar charger last year at Camp Bestival, and found it really poor! At first, we were impressed on the ease of use, to just charge it via USB and then stick it in the sunshine outside the tent. However, we found that after the first use- when of course it was charged from being USB charged in the same way a Powerbank works- it was rubbish and it ended up in the bin. 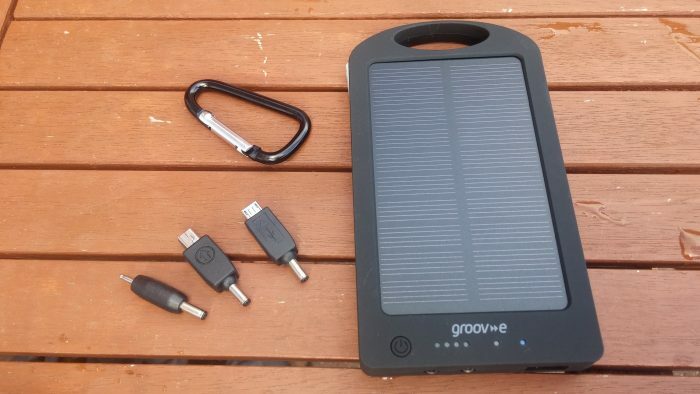 Groov-E however is a slightly more upmarket model, and we tried it with high hopes for charged phones over the weekend. The Groov-E is sleek, it's lightweight, and it comes in a handy velvet pouch for easy transportation. It also had a USB charger cable (although not an iPhone one, but these would fit too) included, and, when charged, provided a handy little torch, which made plugging a phone into it in the dark easy. It again needed to be charged at first via USB connection to a PC, and did so pretty quickly. You can tell it's charged as it has handy lights to the front which show when you press a button on the front. his of course stops the lights draining any charge it has. When I first used it on my phone, which has the crappiest battery life ever, I found it charge it pretty swiftly, in a around an hour. It also stayed charged just as long as it would had I charged it on a conventional plug socket at home. The great thing is that it also has an auto cut off for charging, so if your item is charged, it wont waste energy it has stored continuing to charge. It's also compatible with cameras too, and it's top charging time for gadgets is two hours. The way I used it was to charge my phone at night, ready for the next day when I could put it outside the tent ready for night time. Included in the box is a little metal hook, making hanging it from a tent or a window very simple to achieve. We then left it whilst we went off exploring. So, did it charge my phone after being in blistering sunshine all day? 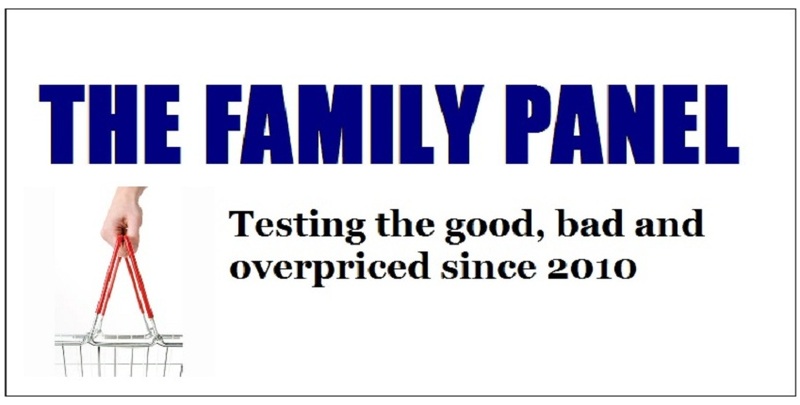 I was shocked to be honest as after last year's cheaper version by another brand I was rather dubious. But give it credit, this little gadget did the job impressively. In fact, I managed to keep my phone charged during Camp Bestival, which I've never managed before. I would highly recommend the Groov-e to travellers, its so easy to use and works just as it should. I usually rely on Powerbanks but these work once and then need to be plugged into an electrical source so for trips they aren't amazingly helpful. 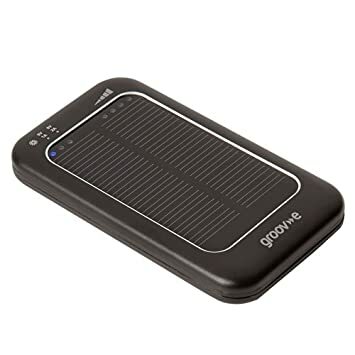 I will certainly be using the Groov-e again next time I'm camping, and at under £20, its a purse friendly solution for when you really don't want to be without a phone or want to keep kids amused via their tablets.